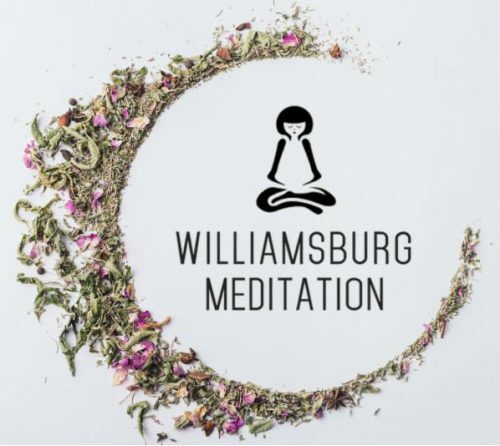 New York living would be way too lonely without our furry friends by our side, who provide us cuddles and kisses not only when we refuse to leave our apartments in the dead of winter, but also increasingly commonly at work. Dog friendly offices are totally on trend right now, but with crowded subways and a recent backlash on “fake” service dogs, bringing your pup to and fro around the city is becoming more of a challenge. Especially if you want your dog bag to match your personal sense of style. Longtime North Brooklyn resident Tennille Teague was frustrated at the lack of stylish options to tote her lovable daschund Mo to and from work every day. Dogs need to be in a carrier of some type if you take them on the subway, ferry or in a cab—and most of the available doggie travel bags at big box retailers or online come in rather obnoxious colors or patterns, and don’t really fall in line with the fashion forward sensibility of hip New Yorkers. And aside from looks, there were other features Tennille wasn’t able to find in a doggie travel bag—a well-designed pocket for accessible poop bags, detachable straps, a leather bottom with metal feet, or one end open for the dog’s head to peek out, for example. And even if a bag had one of those traits, it didn’t have them all. 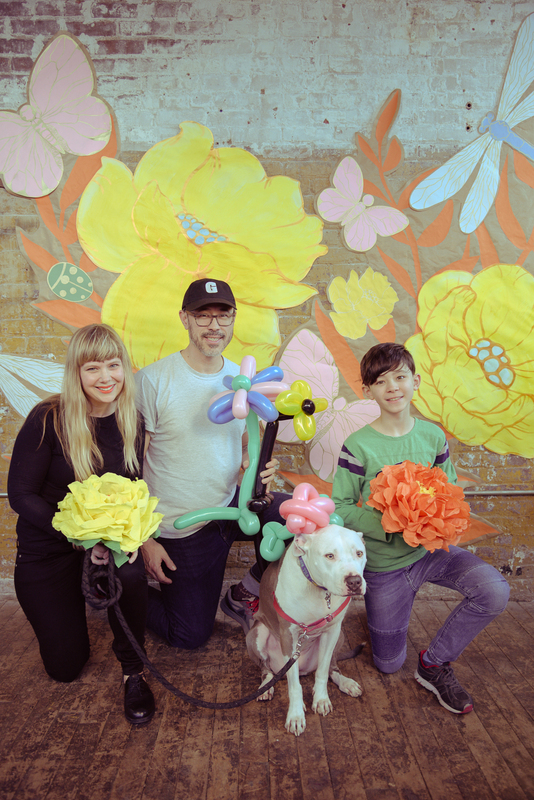 So after more than a year of design and production exploration, Tennille is ready to unleash Jaxx Hound onto the NYC dog scene. Jaxx Hound’s cleverly designed bags, collars and leashes will be produced nearby in Jersey, in production by the end of the year and ready to ship out in early 2018, if she meets her Kickstarter goal of $39,000. 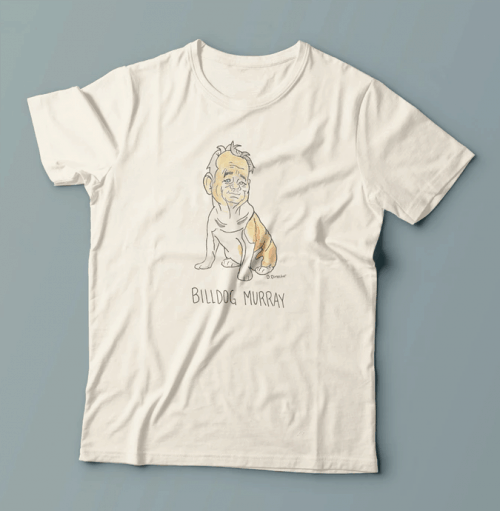 To support Jaxx Hound with a $25 pledge, you can rock the McGolrick dog run with a cute “Pup Culture” tee which features illustrations of dogs reimagined as celebs: Billdog Murray, Meryl Sheepdog and Bernese Sanders. And if you’re dying to get your hands on one of the bags, a pledge of $225 will get you one in classic black, grey, navy or olive green. And while that might seem like a lot to some, in the realm of locally-made and ultra-stylish dog fashion (with 5% of proceeds going to NYC shelter Animal Haven) the price makes sense. 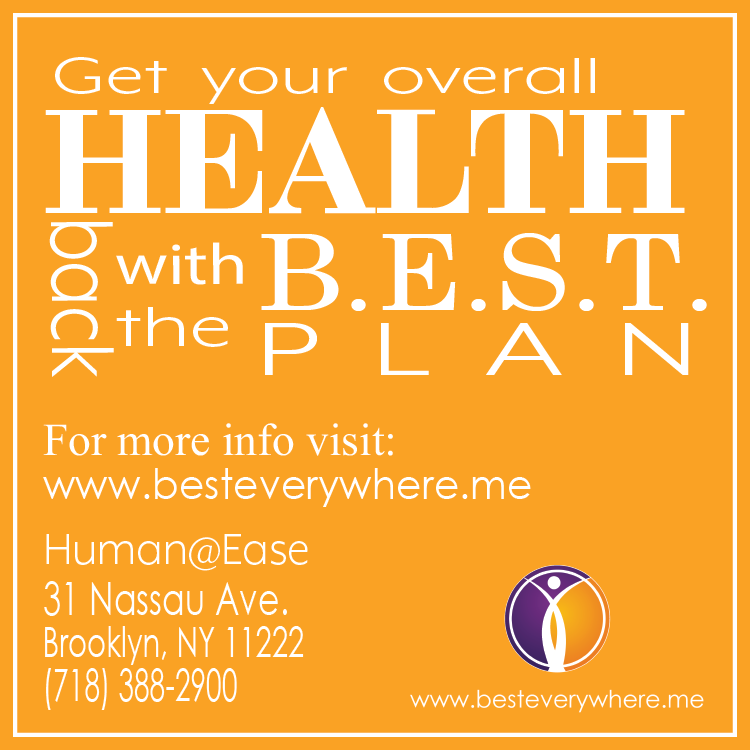 Your best friend and daily companion is worth whatever it costs. 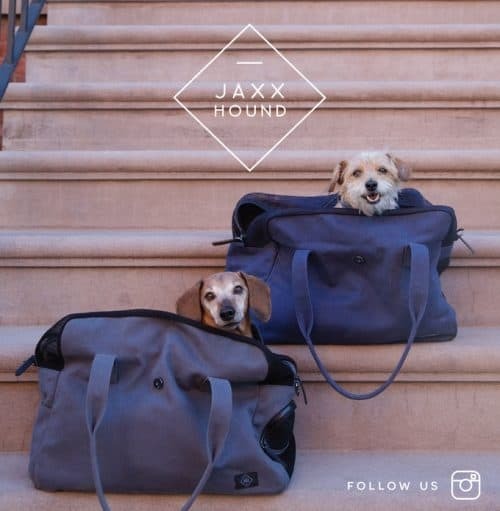 The Jaxx Hound Kickstarter ends in a few weeks; hook up your pup with the chic-est way to travel, before everybody else is doing it.